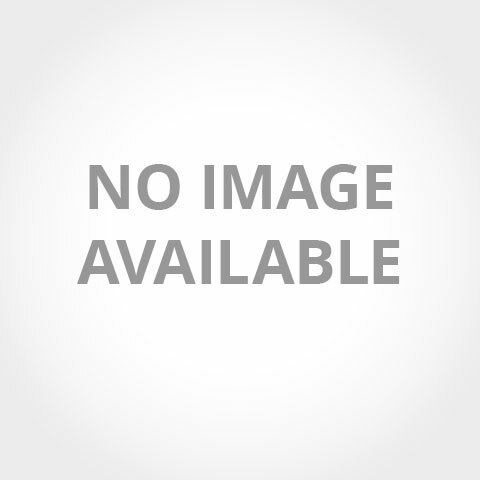 Radbar® 500 Micron Amber 2 Gas Barrier membrane system must be laid in accordance with the Building Research establishment BRE No.414. 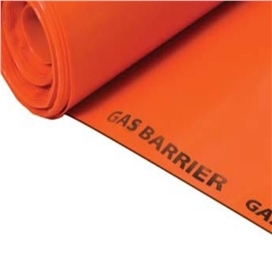 “Protective measures for housing on gas contaminated land.” Radbar® 500 Micron Amber 2 Gas Barrier membrane can be used in most common floor constructions. 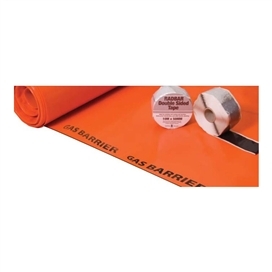 Radbar® 500 Micron Amber 2 Gas Barrier membrane is installed in a similar way to damp proof membranes, but with much greater attention to joint sealing of the gas resisting membrane, under wall sealing and workmanship. 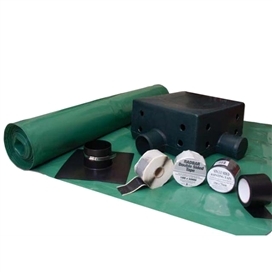 The membrane will also perform the same function as a damp proof membrane. 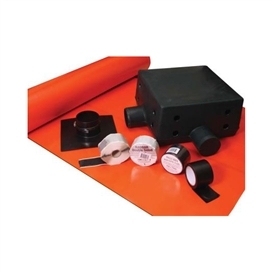 Where there is risk of hydrostatic pressure this product is not intended for use. 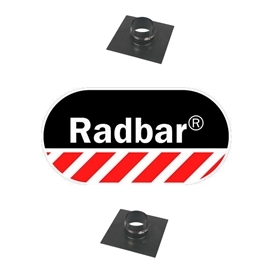 Radbar® 500 Micron Amber 2 Gas Barrier membrane should be laid on a smooth surface or sand blinding to prevent the membrane from puncture. The membrane must be free from grease and dirt.